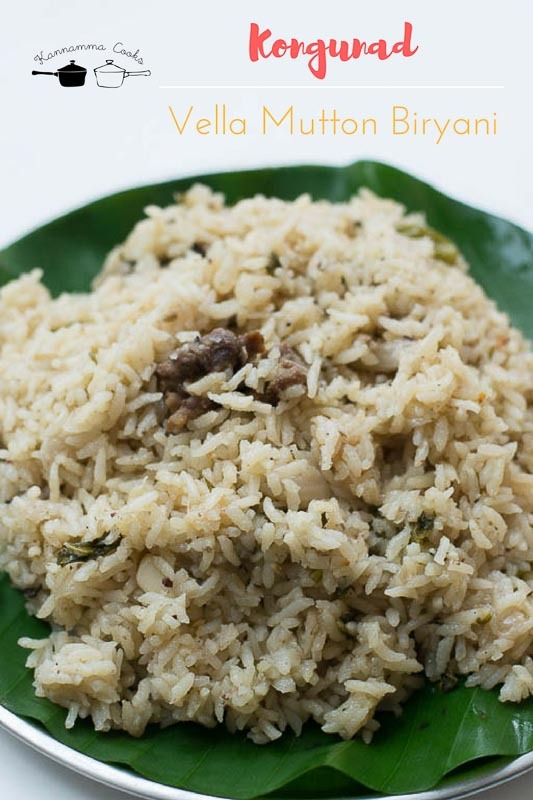 This recipe for Vella biryani is very famous in and around the Coimbatore region. The one thing that comes to mind when someone says vella biryani (white biryani) is the famous biryani from Angannan biryani kadai. 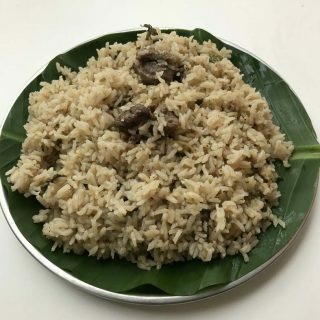 Vella biryani is so traditional and unique to our region. The masala is very lite and the biryani itself is very fragrant. I have been fine tuning this recipe for years. 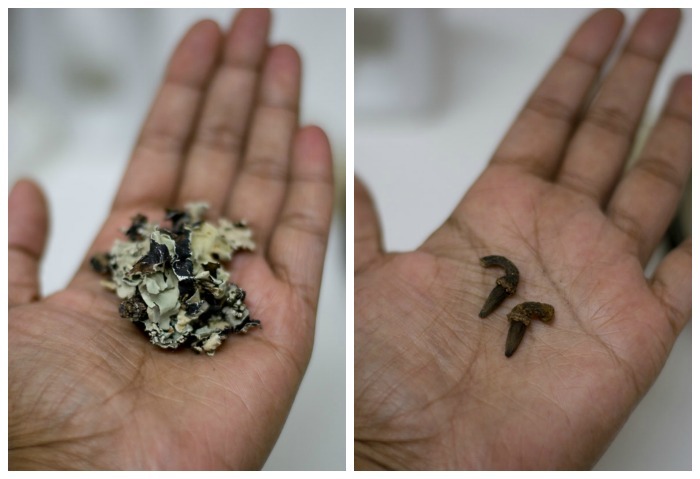 Kalpasi (stone flower) and Maratti moggu (kapok buds) is very important for this biryani. Kal pasi has a very rich earthy aroma to it and is very important for this biryani. Another thing about this biryani is the seeraga samba rice. 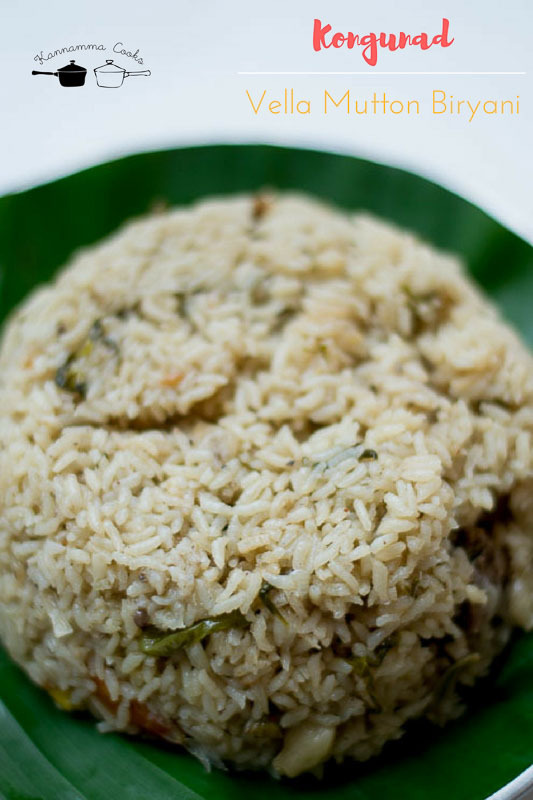 The short aromatic rice reigns supreme in Kongunad and the regular basmati rice is very rarely used for biryani in this region. Soak the rice in water for 30 minutes. Soaking is an important step that makes for fluffy biryani. Do not forget to soak the rice. Note: If you cannot source seeraga samba rice, basmati rice can be substituted. 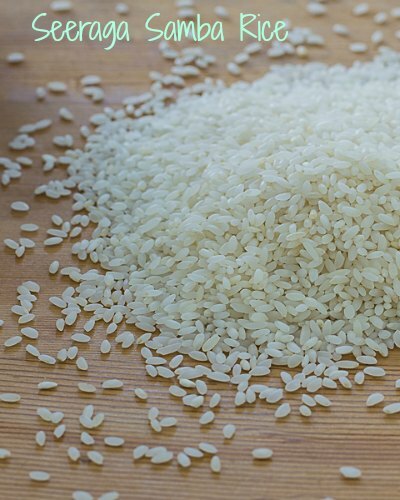 For basmati rice, the water ratio is 1 rice:1.5 water. Here is Vella biryani recipe my style. The ground masala is what makes for the flavour of the vella biryani. Grind all the masala ingredients in a mixie with half a cup of water to a smooth paste. Set aside. 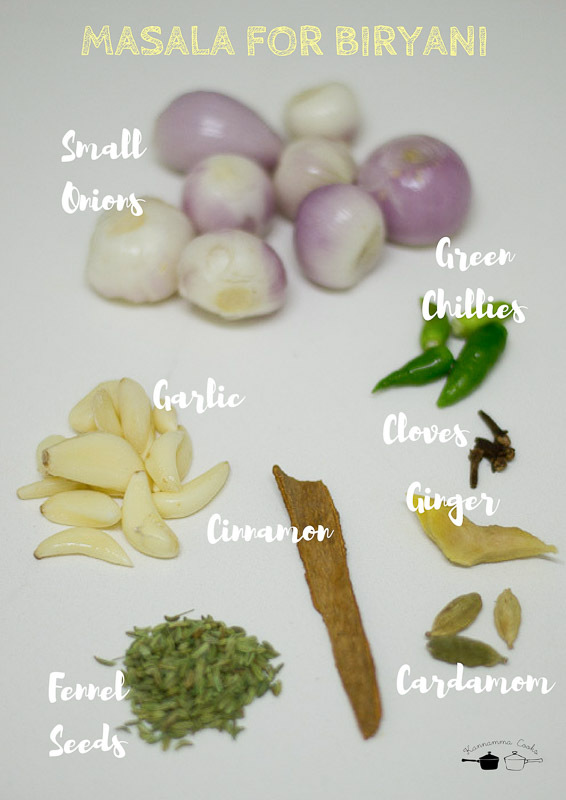 Add extra chillies if you want a spicy biryani. Cook the mutton with two cups of water and a teaspoon of salt for 5-6 whistles. I marinated the mutton for 30 minutes with a tablespoon of raw papaya paste to tenderize the meat. This step is optional but yields extremely soft meat. After 5-6 whistles, open the cooker and check for the meat done-ness. If the meat is not tender, cook for 3-4 whistles more. Set aside. 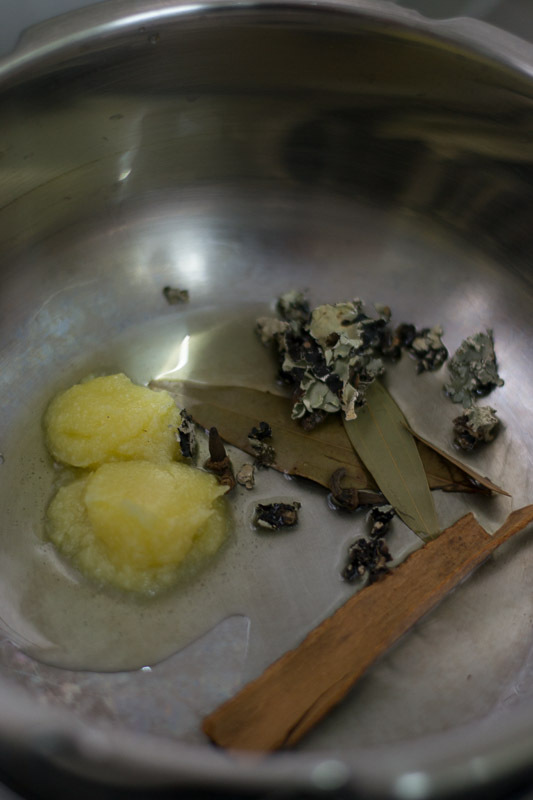 Heat ghee and oil in a pan and add in the cinnamon, bay leaf, maratti moggu and kalpasi. Saute for a minute. Add in the sliced onions and the chopped garlic. Lots of chopped garlic is used for this biryani. 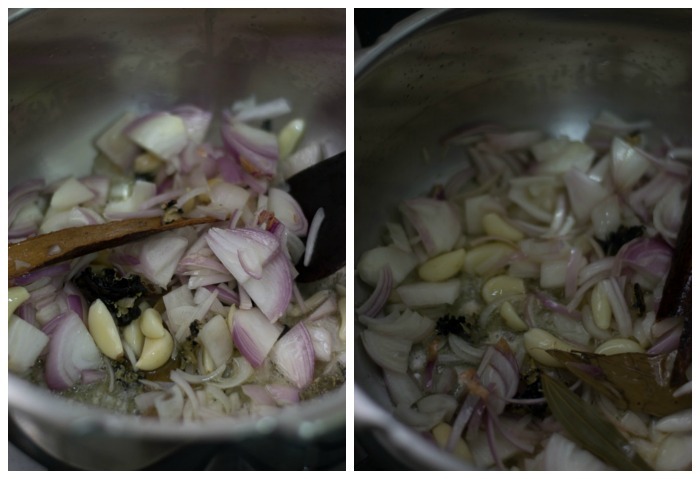 I have used around 10 cloves of chopped garlic. Saute for 2-3 minutes more till the onions are soft. Add in the tomatoes and the ground masala paste. Now, add in whole green chillies. I added about 10 whole green chillies. The flavour of chillies gives a nice dimension to this biryani. Do not slice. Just whole chillies. You do not want it too spicy. Just the essence. If you want a spicy biryani, have 3-4 chillies sliced and have the rest as whole. Add in the chopped mint leaves and coriander leaves. Fry for a couple of minutes. 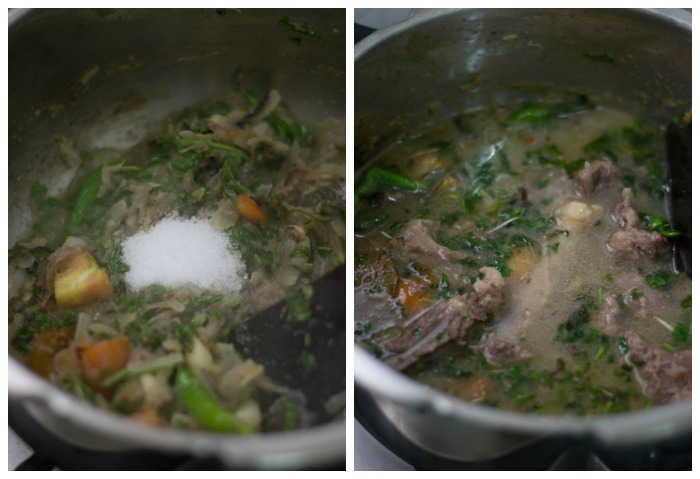 Add in the rest of the salt and the mutton along with the mutton water (stock) used for cooking. Measure the water while adding. 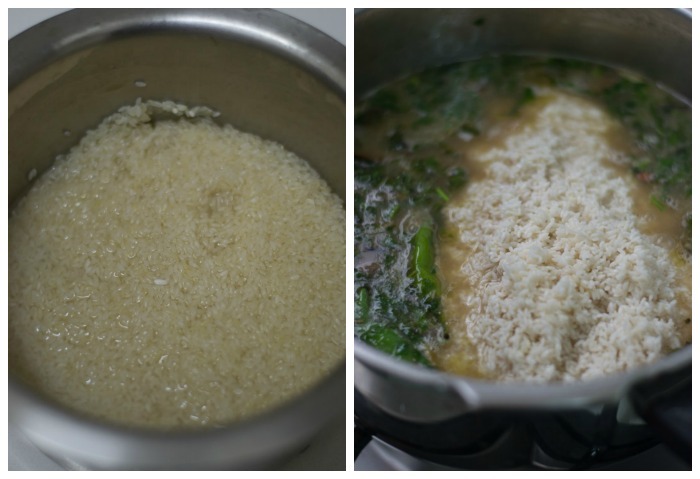 Add in the required water (1 rice : 2 water). We have used two cups of rice. We will need four cups of water. 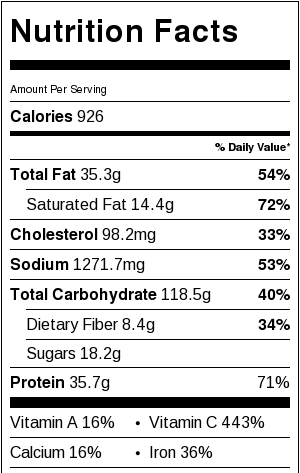 (Have the mutton water included in the measurement and add water accordingly.) Let it all come to a boil. 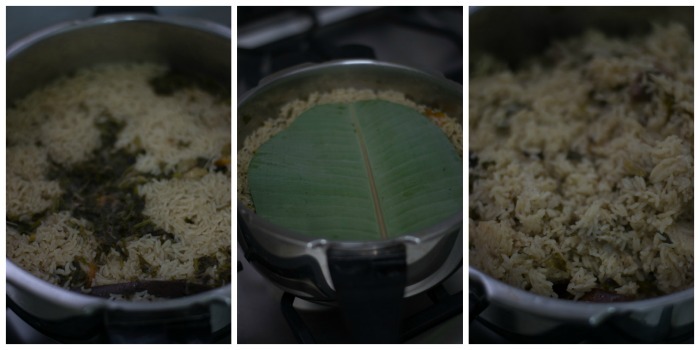 Once boiling, add in the soaked and drained seeraga samba rice to the cooker. NOTE: If you want a really fluffy biryani, use (1 rice : 1.5 water). Mix well. Cover and cook for exactly two whistles. Switch off the flame and wait for the pressure to release naturally. Open the cooker and add in a cut banana leaf and cover the cooker and allow it to rest for 10 minutes more. The flavour of banana leaf is unbeatable. Grind all the masala ingredients in a mixie with half a cup of water to a smooth paste. Set aside. Soak the seeraga samba rice in water for 30 minutes. Add in the sliced onions and the chopped garlic. Saute for 2-3 minutes more till the onions are soft. 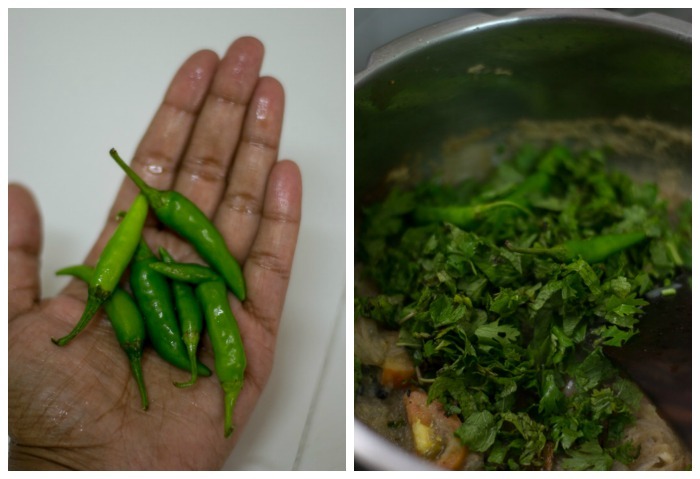 Add in the whole green chillies, chopped mint leaves and coriander leaves. Fry for a couple of minutes. 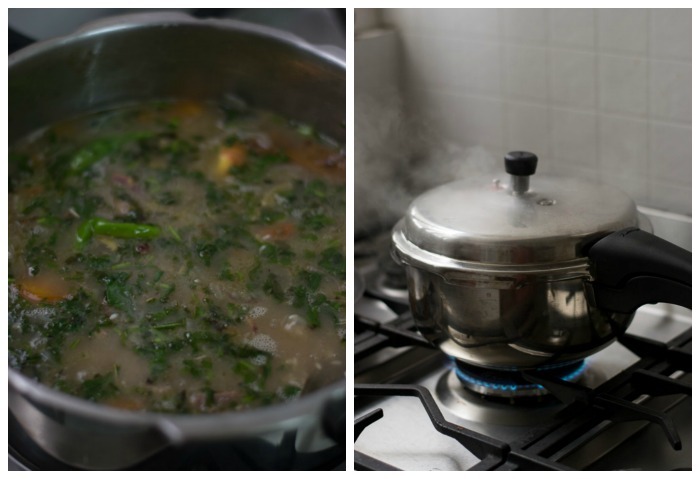 Add in the rest of the salt and the mutton along with the mutton water (stock) used for cooking. Add in the required water (1 rice : 2 water). Take the mutton stock included during measurement of water. Let it all come to a boil. 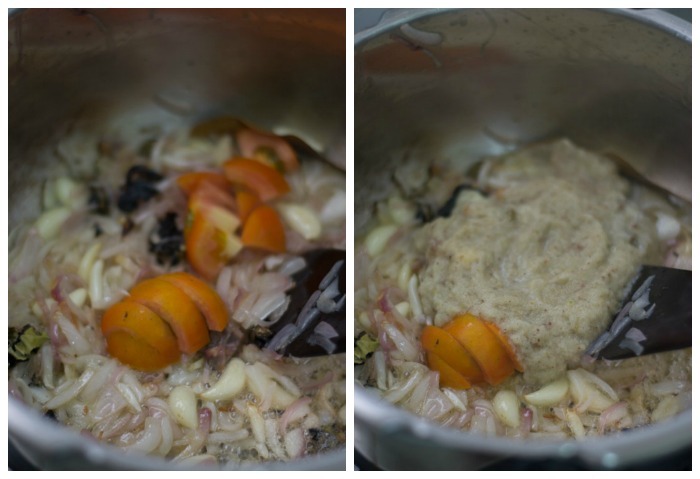 Once boiling, add in the soaked and drained seeraga samba rice to the cooker. Open the cooker and add in a cut banana leaf and cover the cooker and allow it to rest for 10 minutes more. I need mutton kola urundai gravy Kongunadu traditional type. Hi. I’m a huge fan of your recipes! Just downloaded your app – its awesome! I have a hawkins futura – how would I translate whistles into time for that, for this recipe, do you have any suggestions? 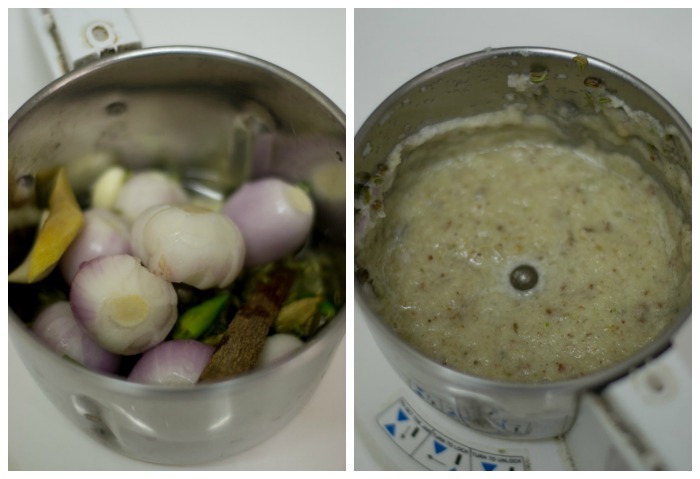 Great receipe Suguna !! I take a pride in my cooking and is always appreciated by my friends and family for this skill of mine . 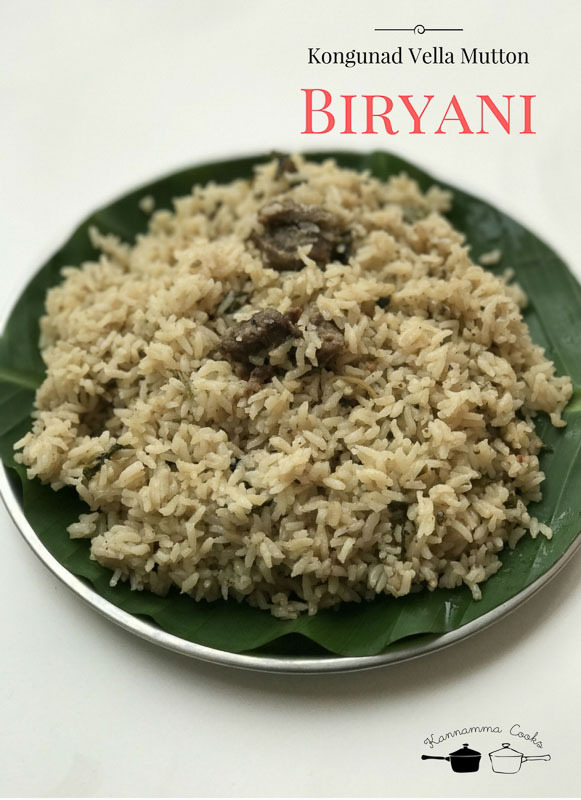 This receipe has enhanced my biriyani and thank you for sharing this receipe . Although I visit a couple of food blogs once in a while, I always come to yours for biryani recipes.. I tried this one and it filled the house with a nice fragrance and tasted delicious.. i had also tried thala Ajith style biryani and that was a keeper as well.. ! Thanks a ton for this wonderful recipie. Tried it today for dinner. Is very delicious and light. I found this recipe super awesome. It is my family’s fav. thanks for sharing. looking forward! This is an awesome recipe…I’m making it today for lunch again. Thank you Diya. Really glad you like the recipes. It’s a Treasure Recipe. Very well done. Thank you for this excellent recipe. Reminds us of angannan biriyani and it was perfect!!! I tried this recipe and per my family this is the best biryani they ever had. Thank you so much. Really glad that you liked the recipe. Happy cooking! Glad you liked the recipe. Happy Cooking! Madam cooking for two whistles in medium flame or high flame? medium flame always for biryani! superb recipe!! can i use the same style for nattukozhi biryani too? Akkaa Semma semma ka.. Finally chefs magical hand is shown.. Lots of kisses to your magical hands ka. Akka thanks a lot for taking lots of effort in teaching us the best n yummy recipes ka… Vella biryani is yummy o yummy ka. With lotts of love.